OK, I admit it. I'm a huge homer. 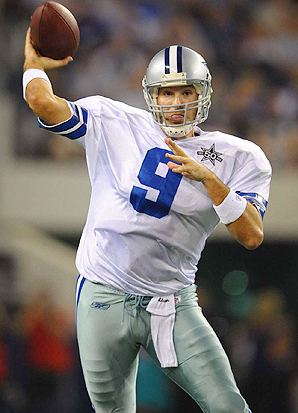 I am a big Dallas Cowboy fan, and, perhaps, an even bigger Tony Romo fan. Despite the many people who criticize Romo, label him a choker and think he only puts up big numbers, Romo has orchestrated more 4th quarter comebacks in the last decade than any other NFL quarterback. I particularly like to quote him because what he says often provides so much insight into the mindset of an elite athlete. Here is what Romo had to say after he fired the winning touchdown with 7 seconds left to play in the opening game of the 2015 NFL season against the New York Giants. His leadership helped the Cowboys to a 27-26 win. "You've just got to stay calm," Romo explained. "At that moment, at that point in the game, you can't just fall on it and protect the football. There's not much time left, and you've got to have poise in that situation when random things happen. Someone misses a block, ball is on the ground, whatever it is that comes up, you find through the years if you play long enough that the experiences you've had you can just get calm, get back up, trust your guys around you to do their job and then go through the progression." Though the game was exciting and came down to the last play, Romo understands the importance of maintain the proper level of arousal, mental visualization, and the need to stay calm throughout the game. He also understands that great plays and exciting comebacks are about preparation and deliberate practice. For more on mental conditioning, download the Mindfuel app: http://appmc.hn/1aekztQ. For more about the Dallas Cowboys franchise, buy the book, Razor Thin: The Difference Between Winning and Losing.